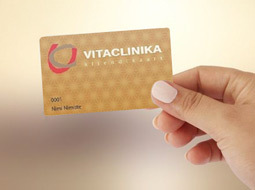 With Vitaclinika client card is pleasure to recognize you as our regular costumer. Cardholder receives emails with spechial offers and sales in our clinik. Cardholder will get email the first to know about your latest news.